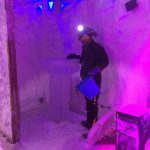 This summer we had a great time at Beach East in London, run by the Mellors Group, when we made our giant sand sculpture for Bob the Builder! 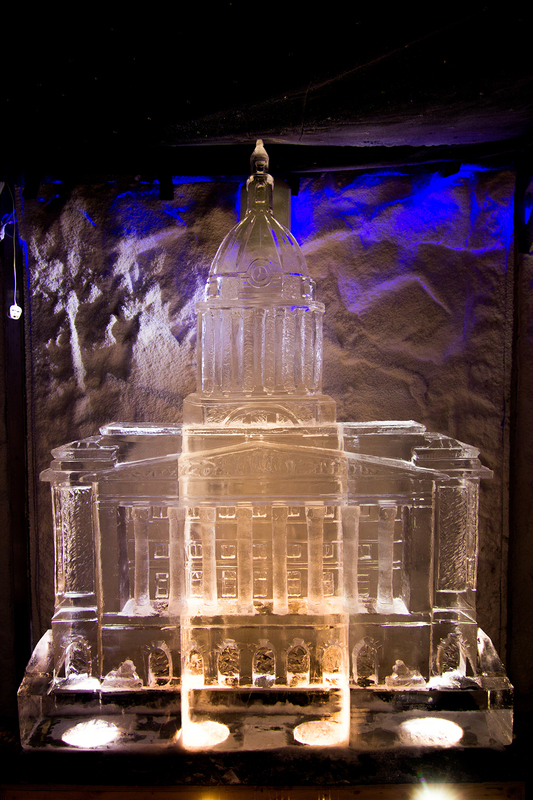 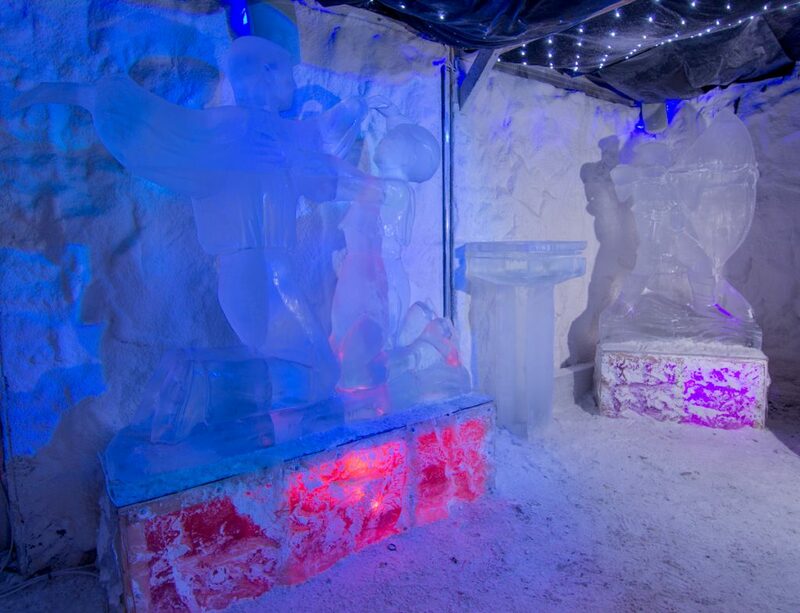 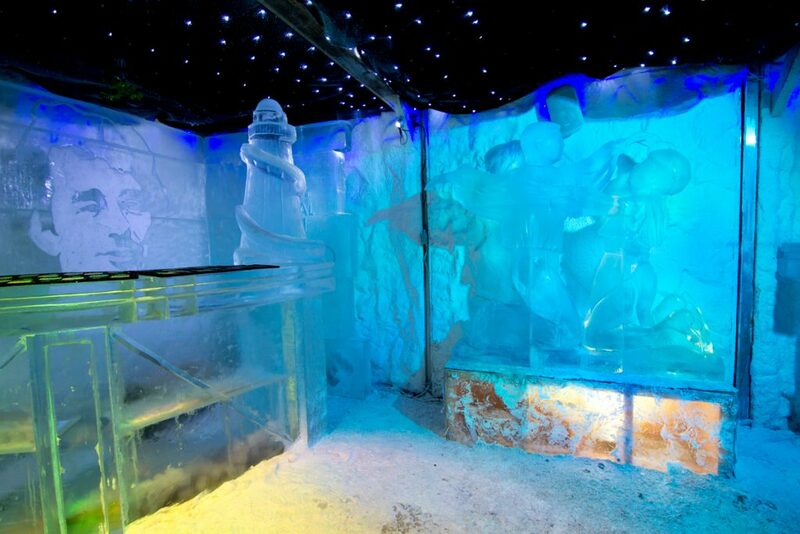 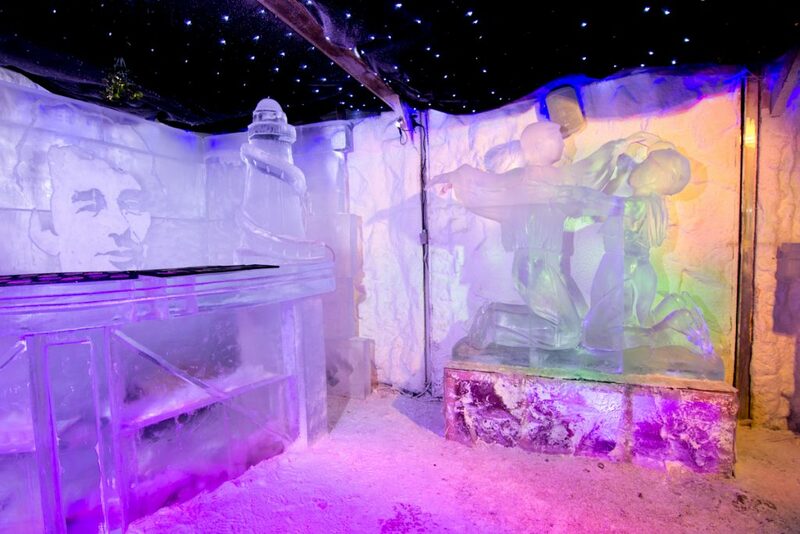 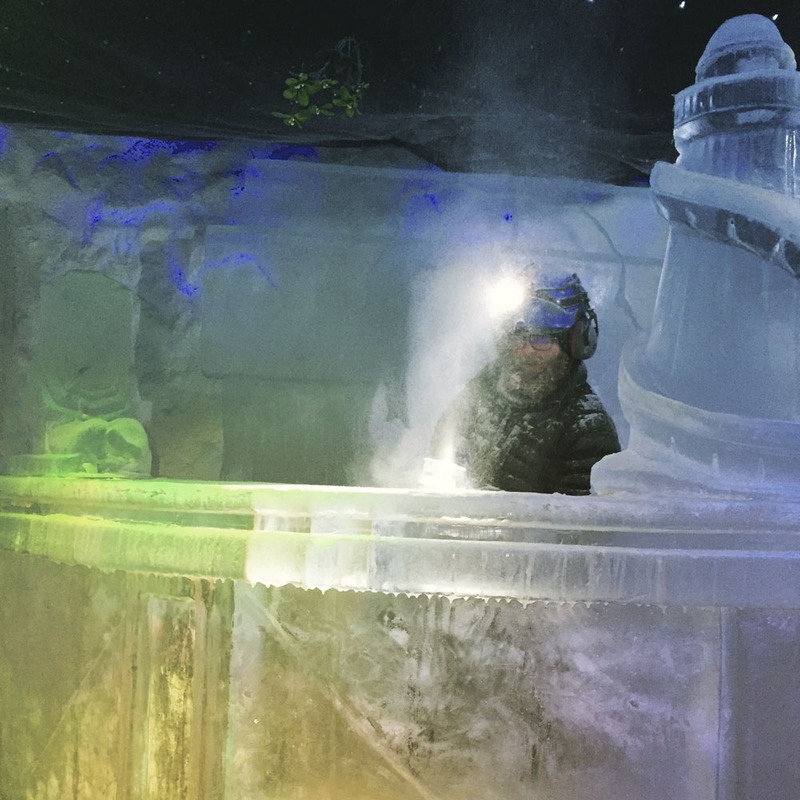 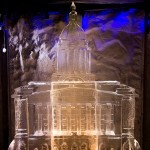 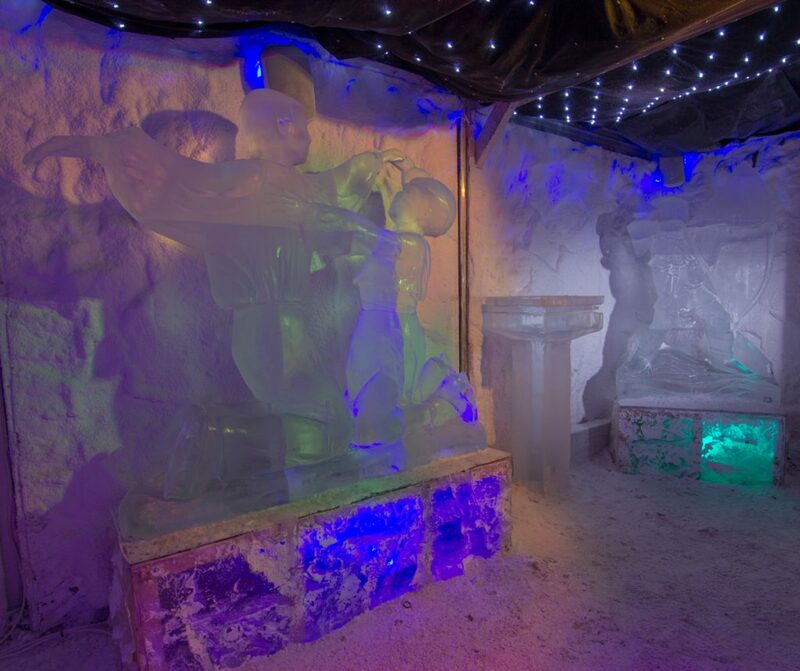 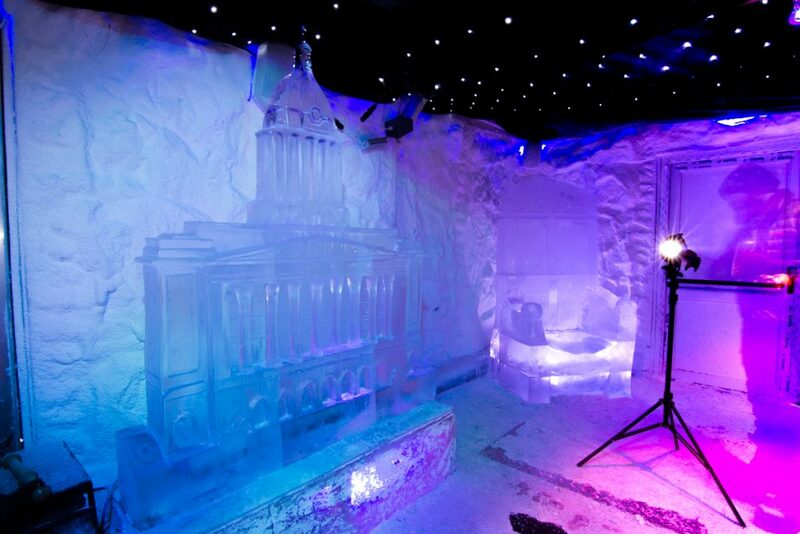 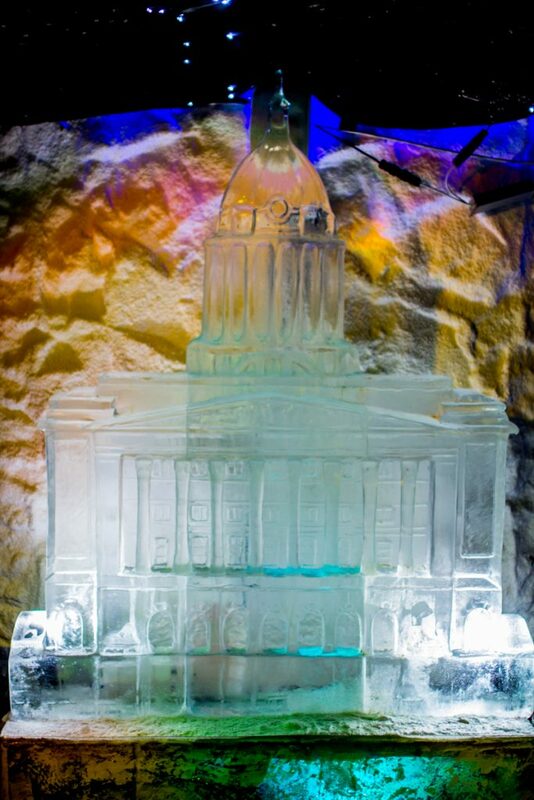 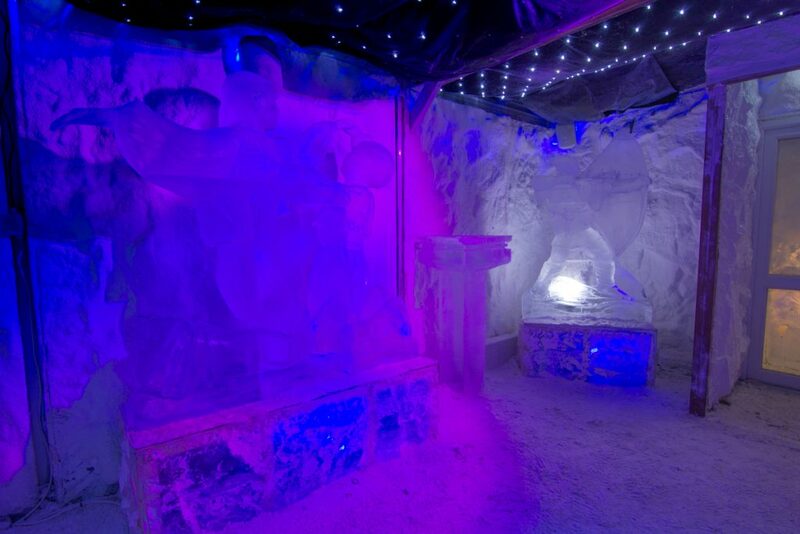 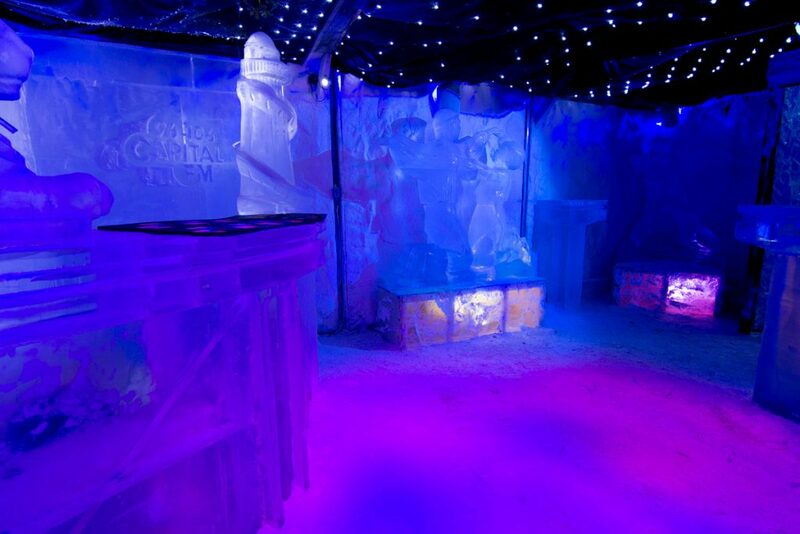 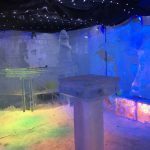 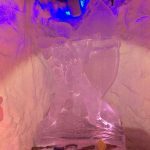 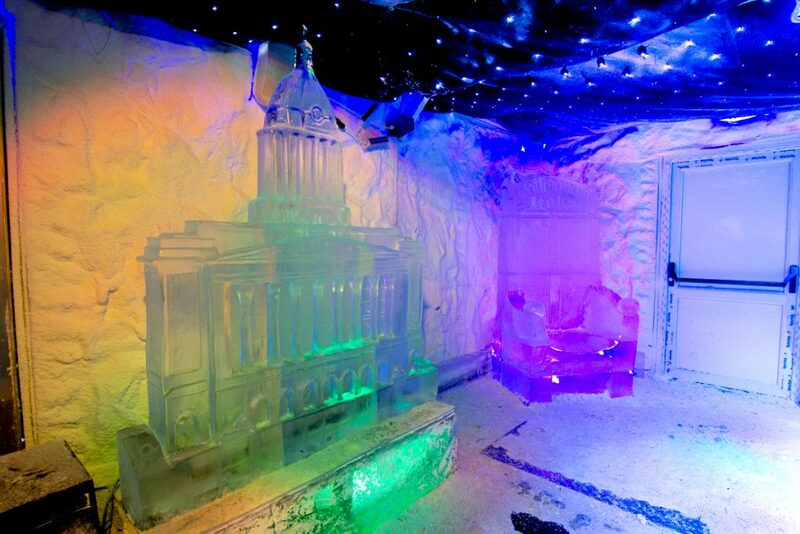 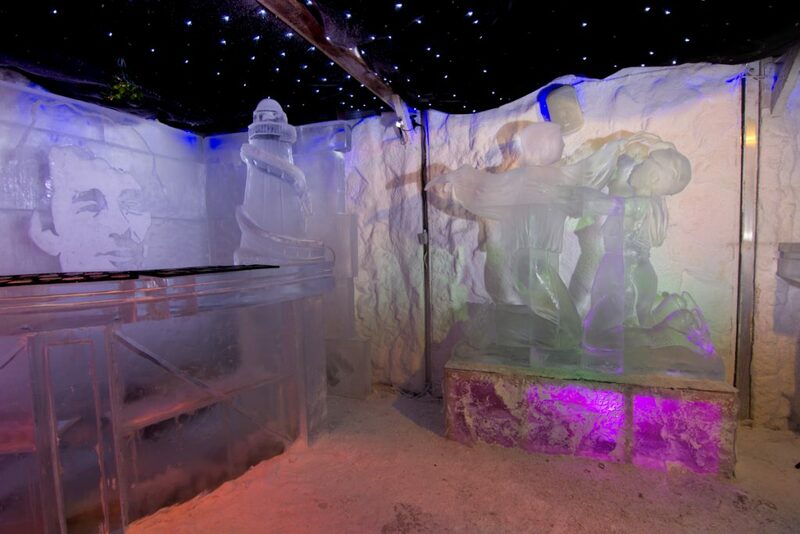 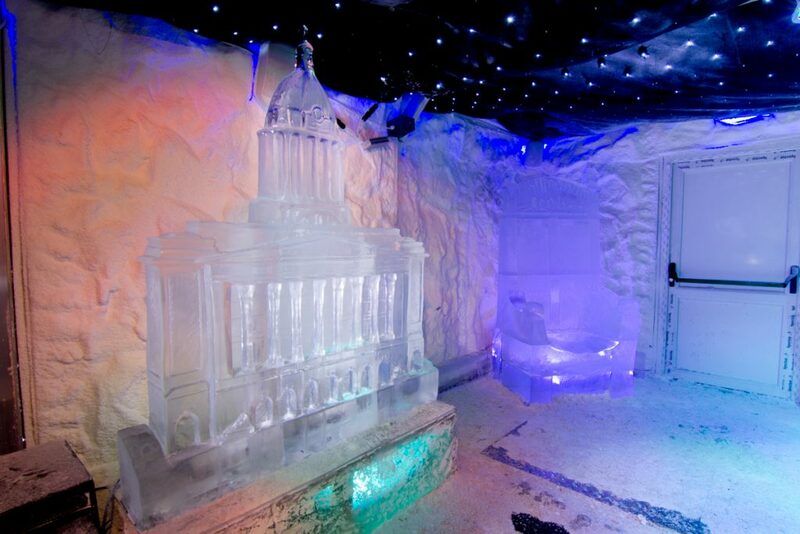 So it was great to hear from them after the event about their idea of creating Ice Bar Nottingham as part of their Winter Wonderland event. 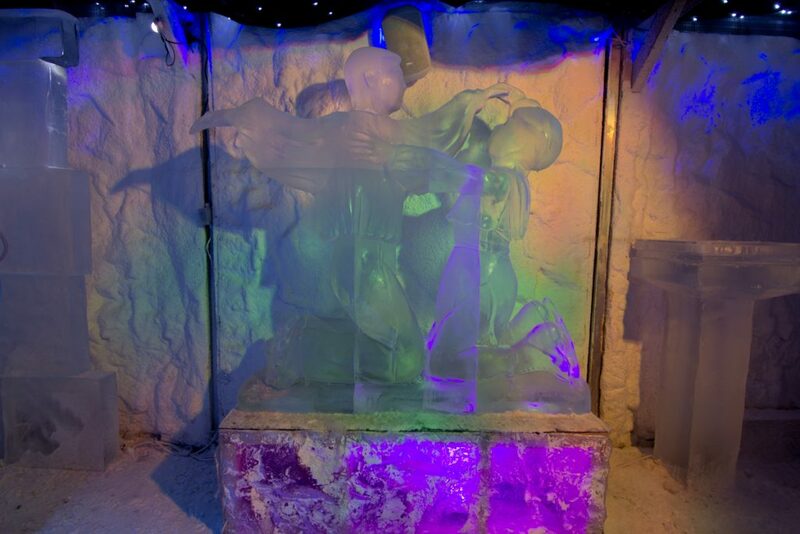 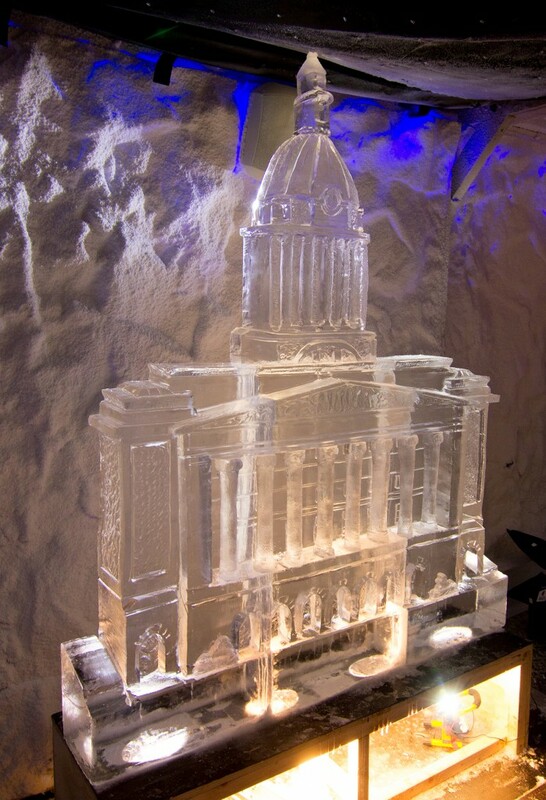 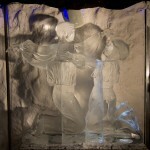 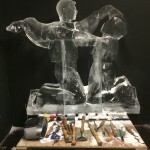 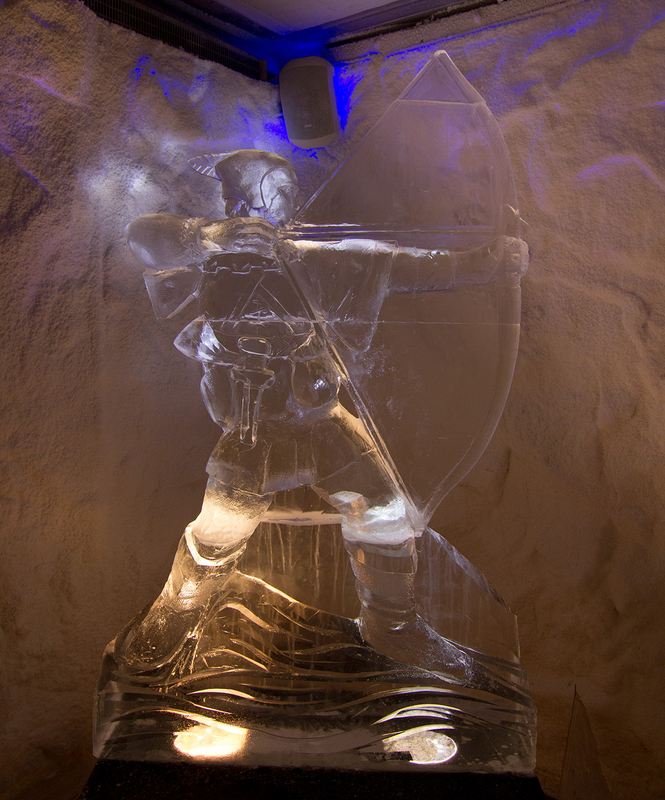 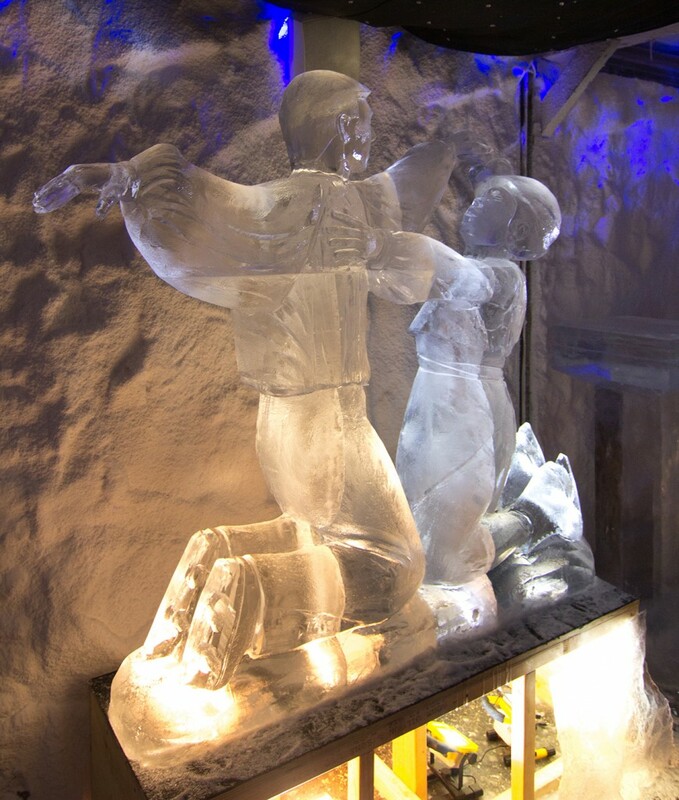 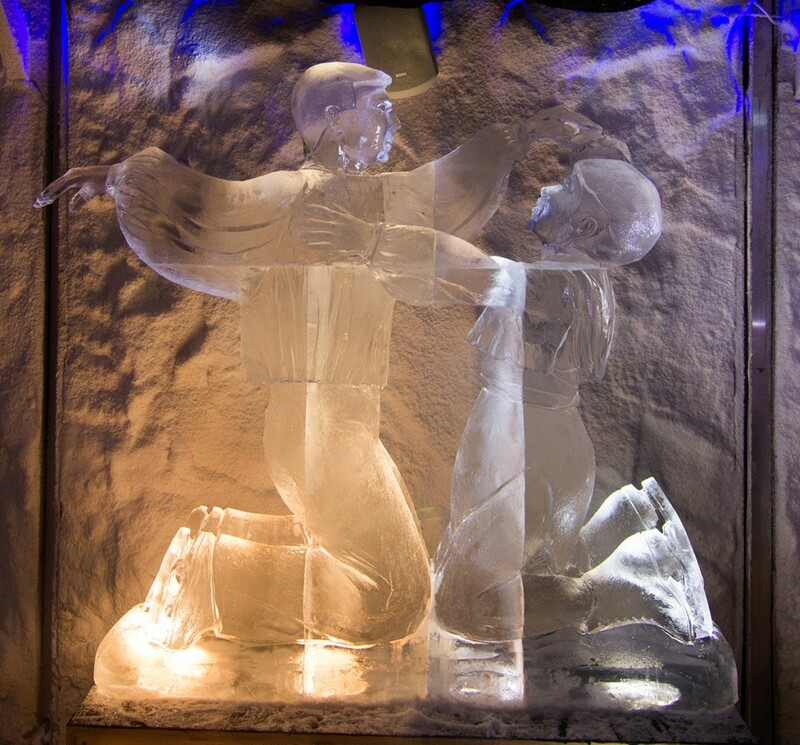 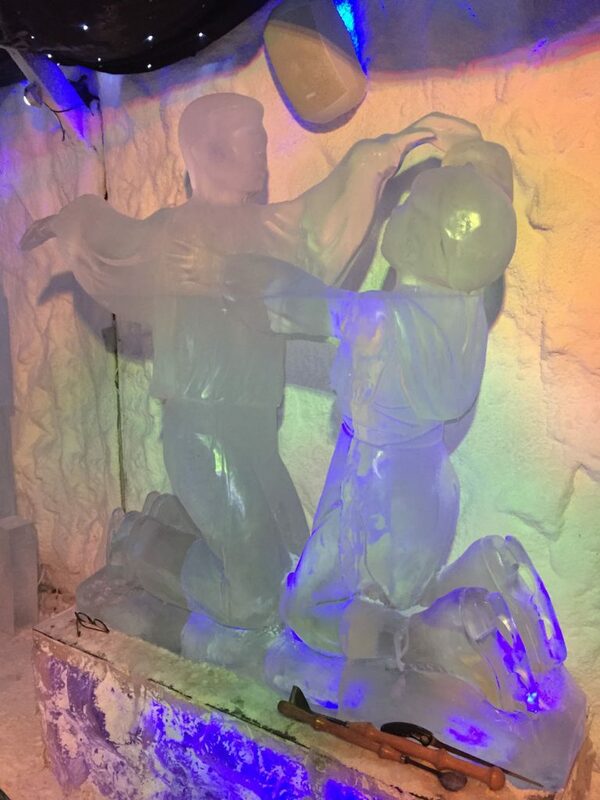 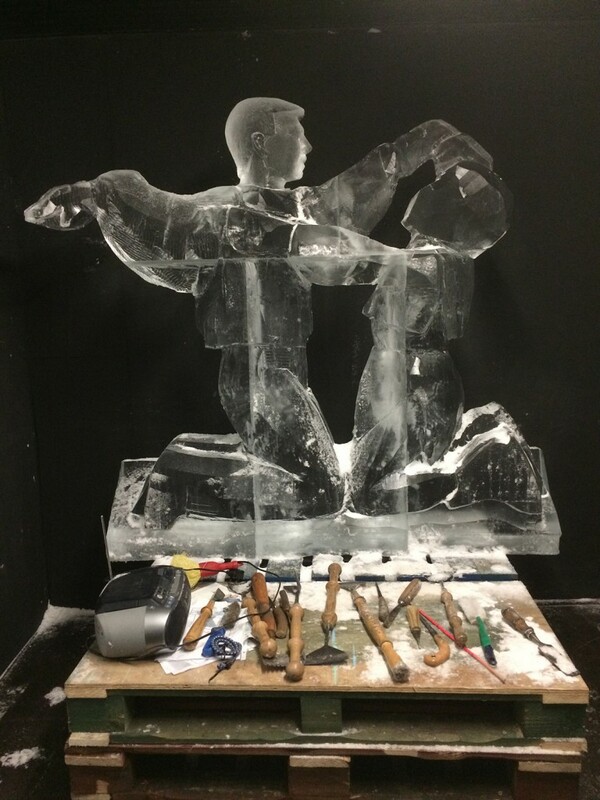 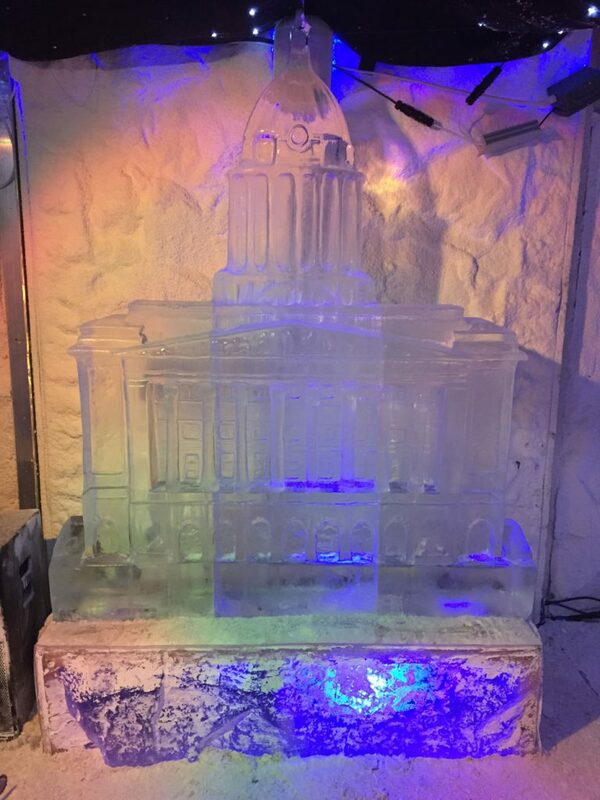 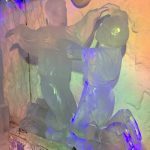 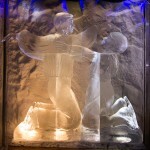 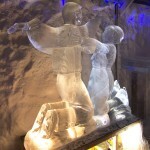 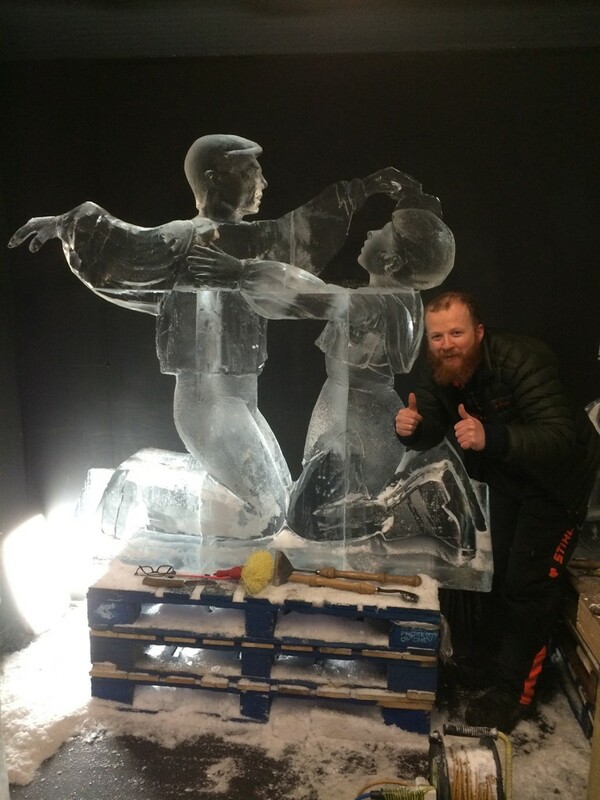 We had never made ice sculptures for an event in this country where the art wouldn’t melt in a day, so to have them last and be seen for 2 months was very exciting for us! 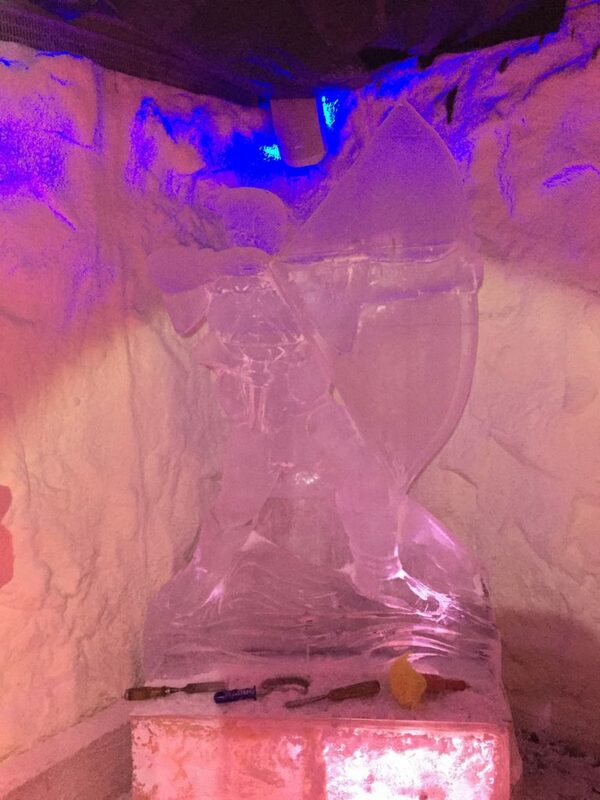 Jamie, Claire and myself got stuck into some carving in our freezer for over a week creating Nottingham themed sculptures and luges including Torvil and Dean, the Left Lion, a helter skelter, the town hall and of course Robin Hood! 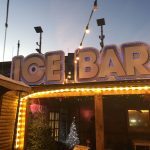 After many long hours, we wrapped up the ice and headed down to Nottingham where they were busy getting the bar ready and were joined by Rodrigo and James. 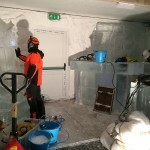 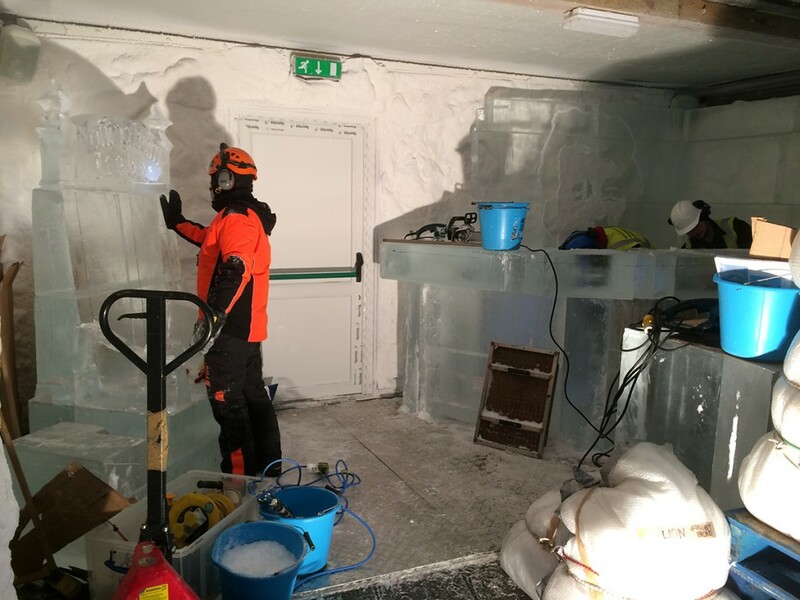 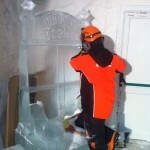 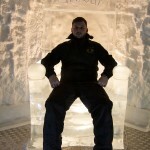 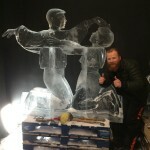 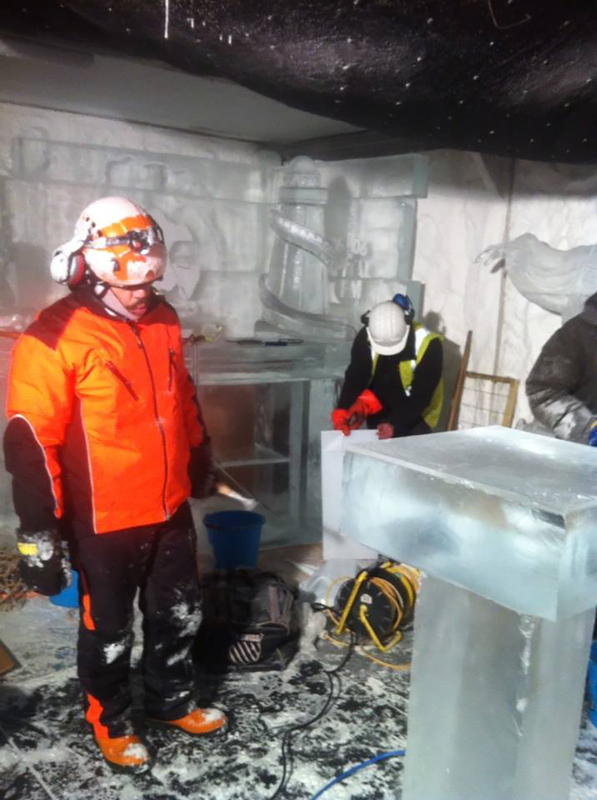 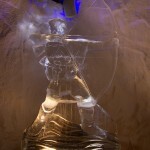 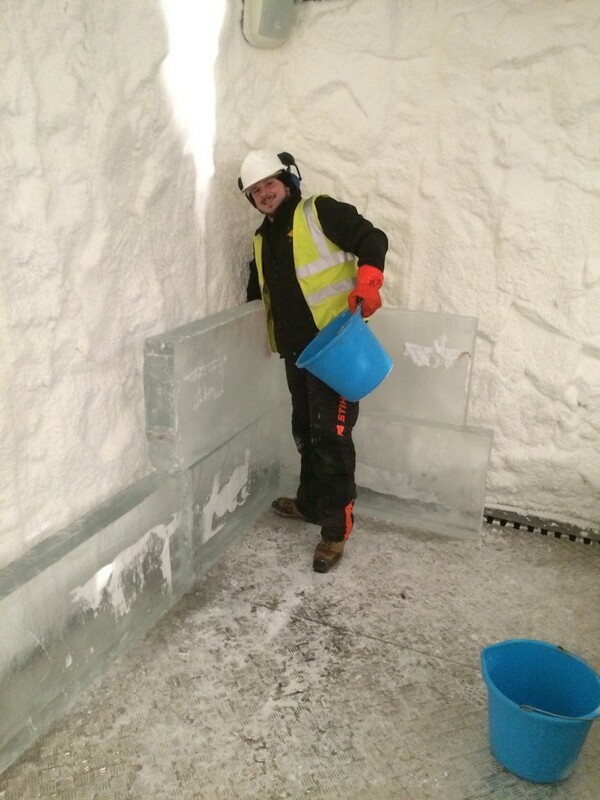 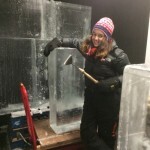 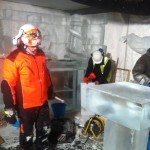 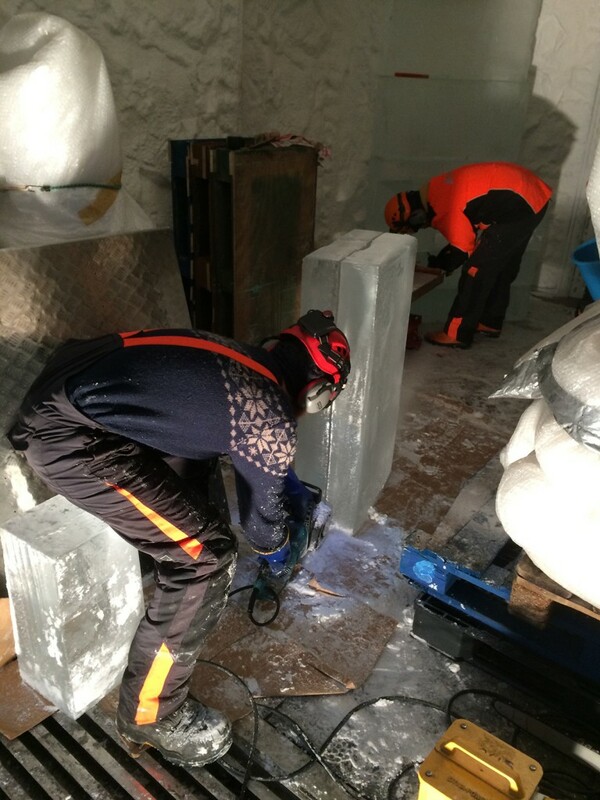 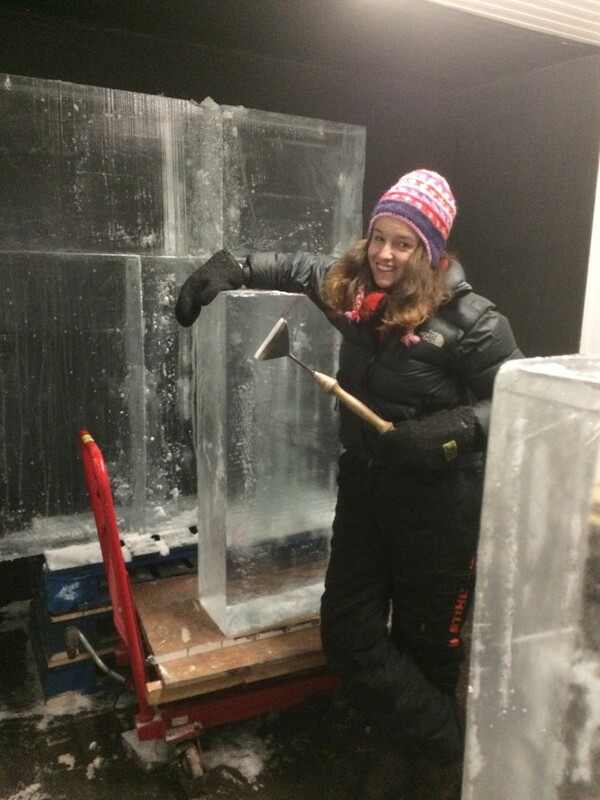 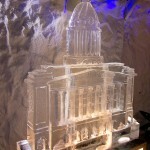 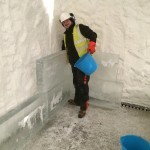 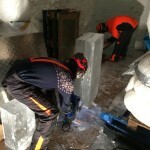 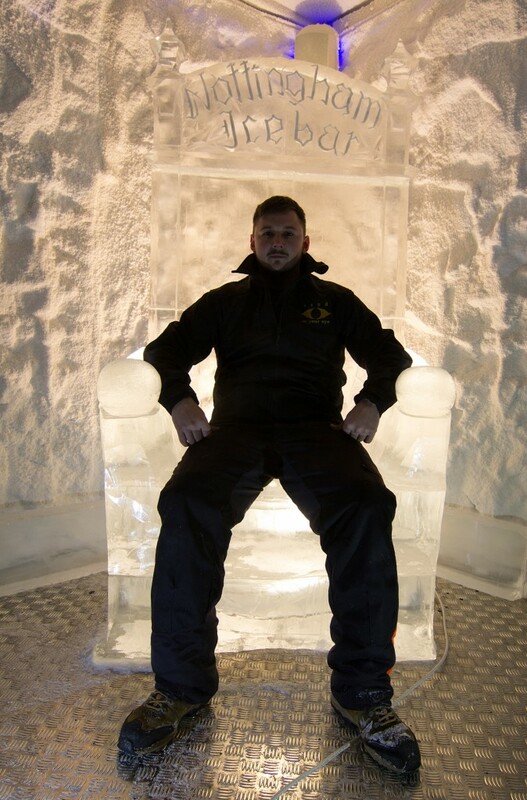 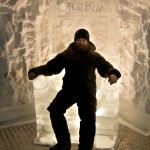 We had 4 days to get everything ready and on day 1 we did lots of lifting and stacking to make the ice wall and throne. 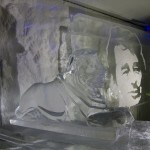 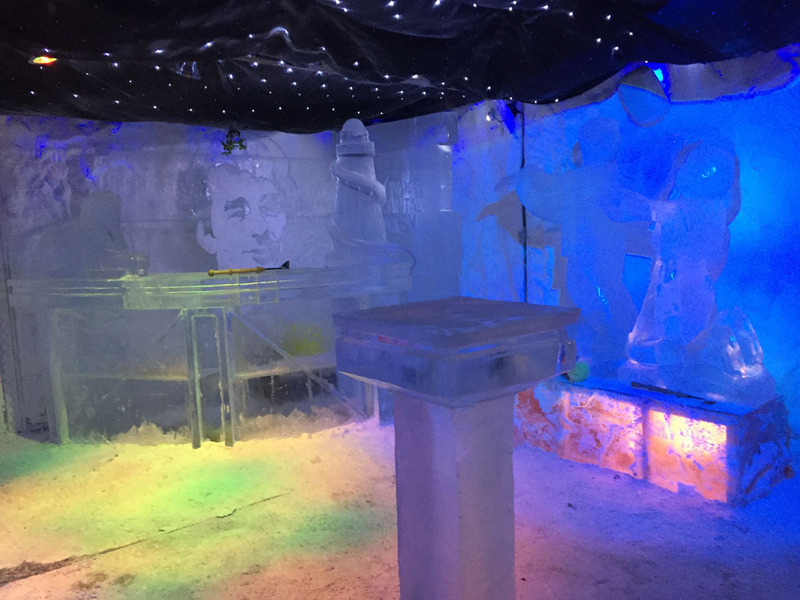 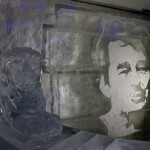 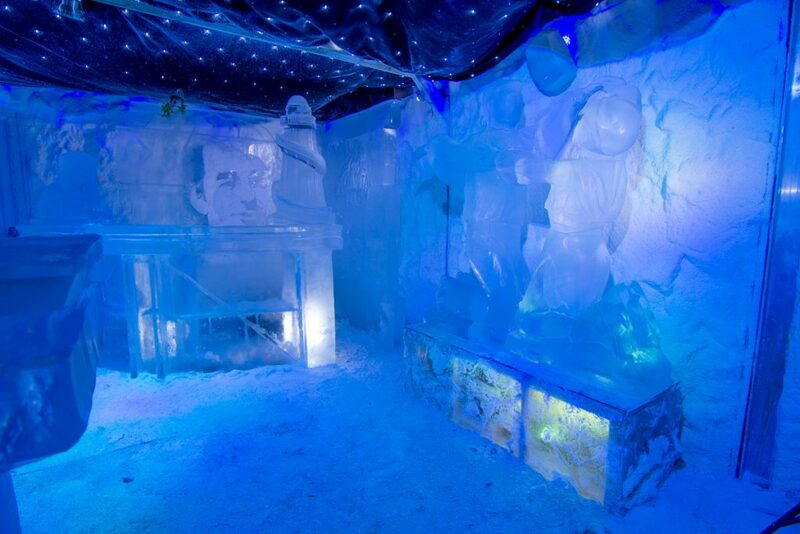 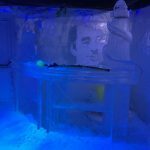 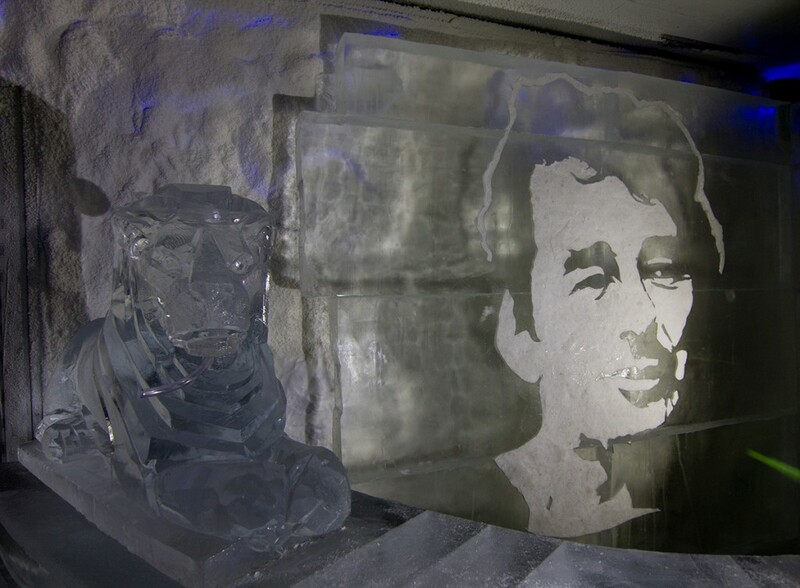 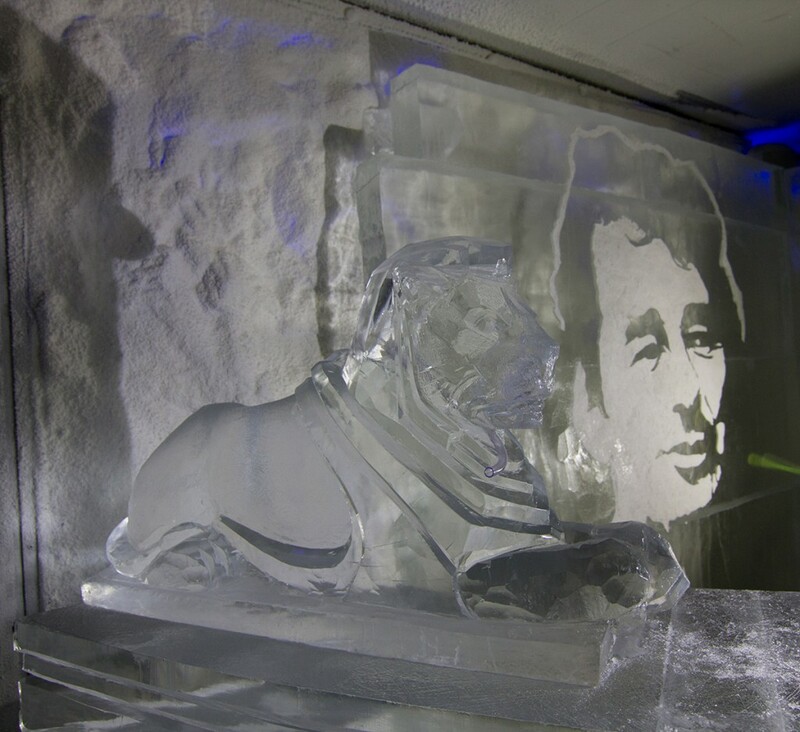 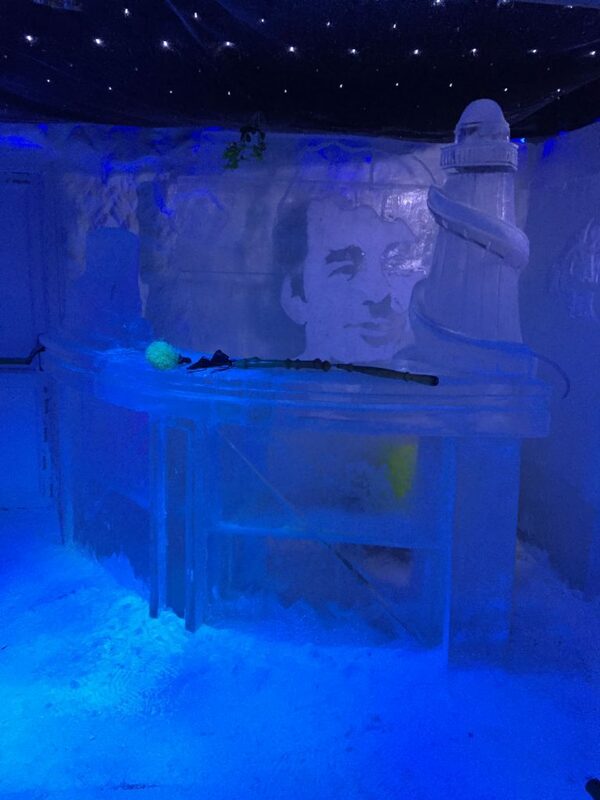 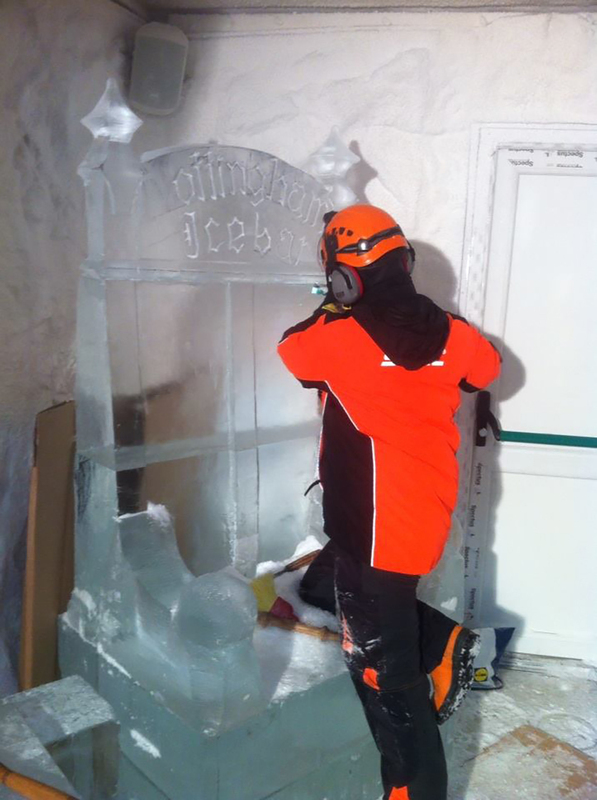 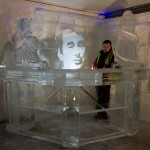 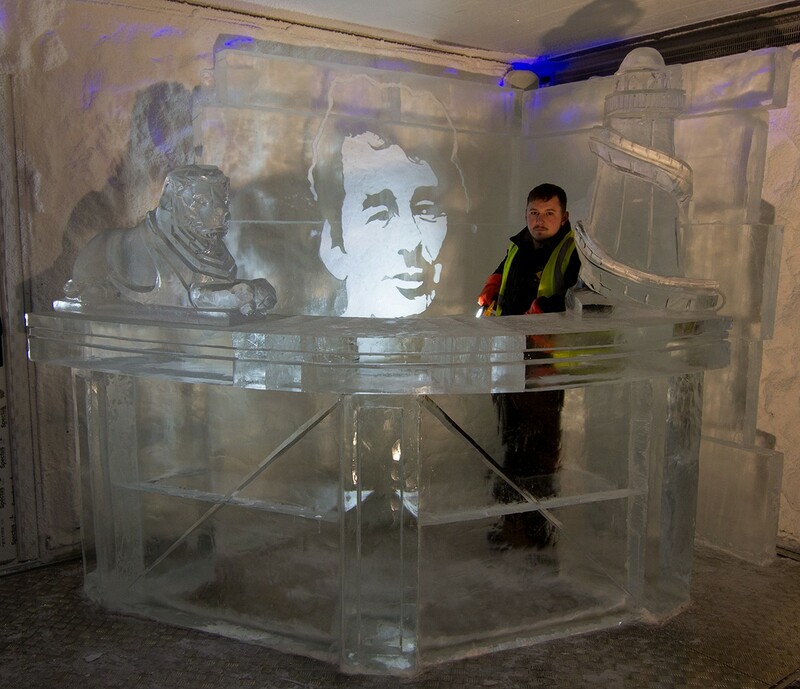 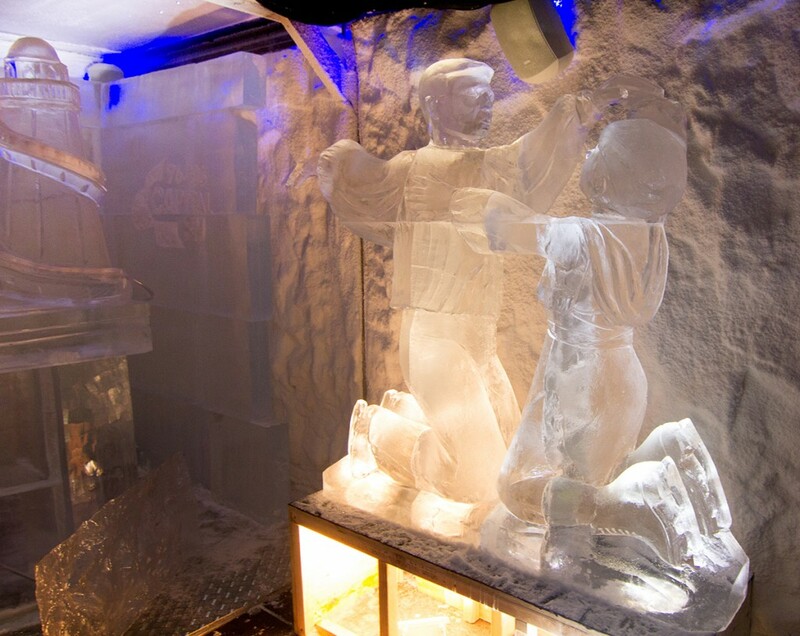 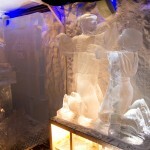 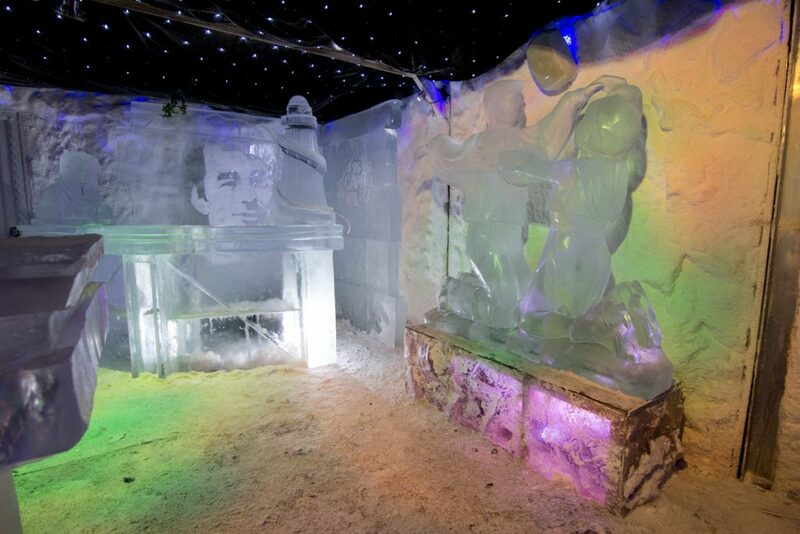 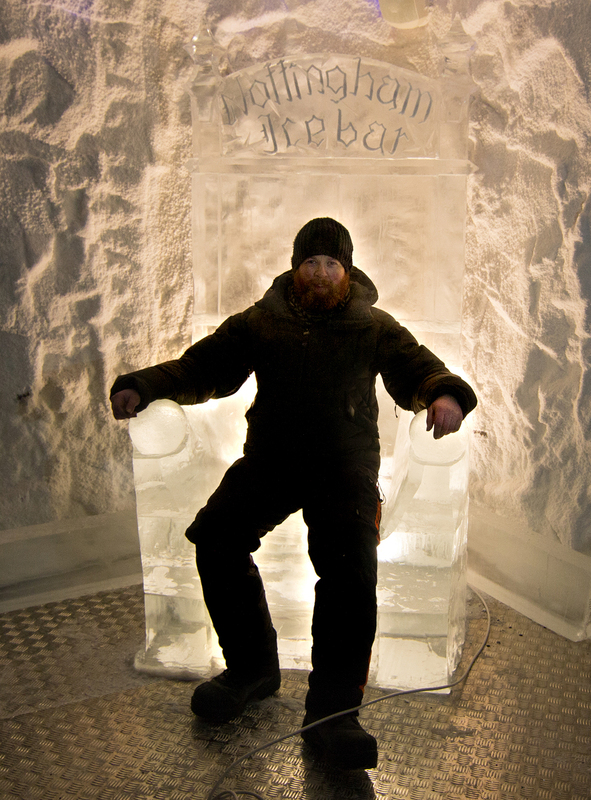 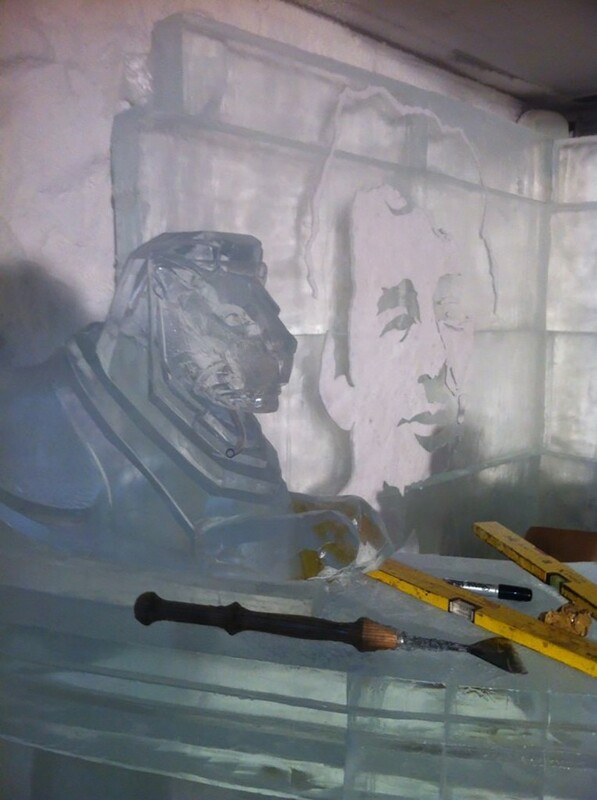 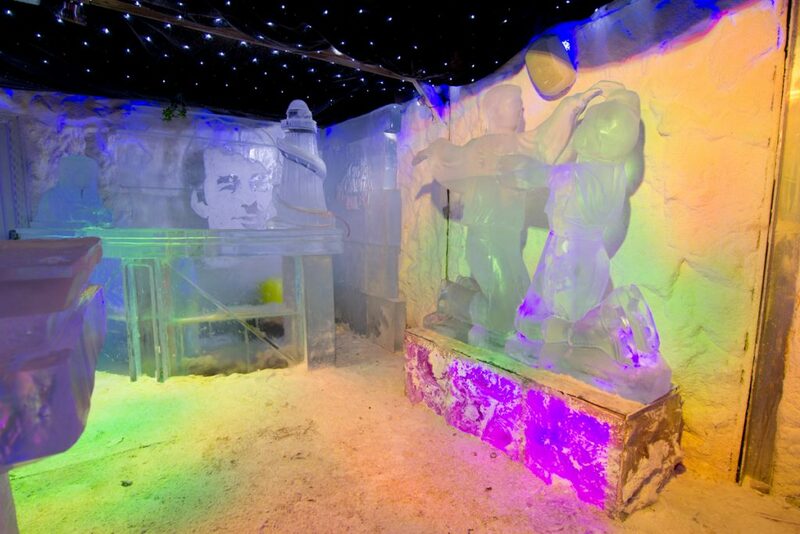 Rodrigo carved the ice throne, I made an image of Brian Clough and Jamie and James made the bar and the tables. 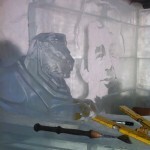 By day 4 everything was coming together and it was time to reveal the sculptures that had been keeping cool in their blankets. 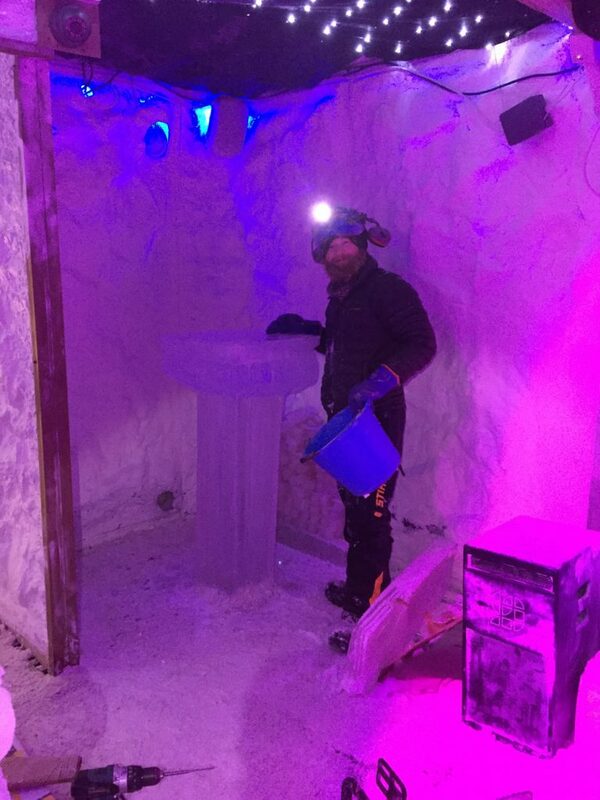 Once we had everything in place, it looked great giving the team from Mellors Group a day to put the final touches to the bar before the grand opening. 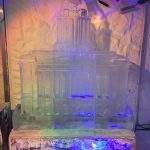 With 2 weeks spent at -12, it was fantastic to see it all come together and finally warm up! 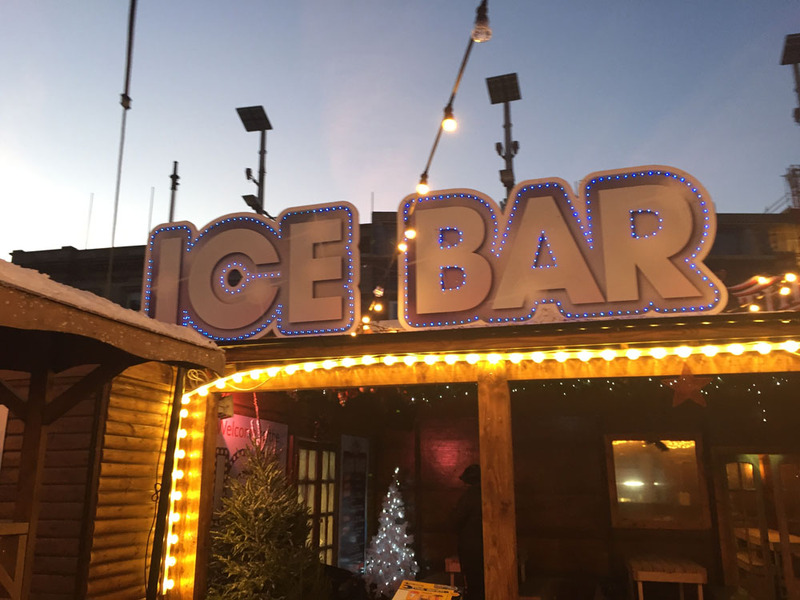 Thanks to everyone from Mellors Group for the technical assistance and the bar will be in place throughout the Christmas period until 8th January so check it out if you can!